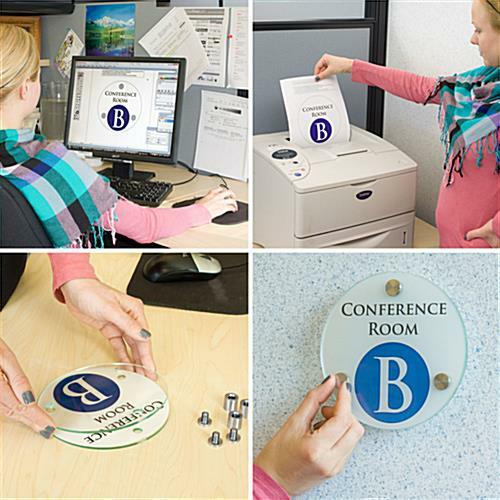 Create Your Own Office Signage! Print Custom Graphics and Images in B&W or Color! Templates Available for Downloading for Word, Illustrator and Photoshop. 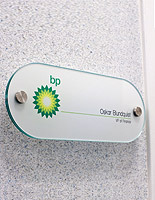 Office signs, including name plates and door message boards, are most often used in corporate business settings for guiding visitors to the correct areas. 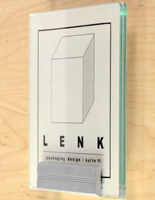 The displays are excellent at designating room numbers and locations. 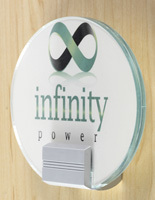 These office signs feature an all-in-one message system, which allows users the freedom to create unique signage on the door or wall of the business. The units mount to most flat surfaces. 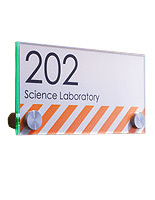 These office signs include two types of printable film, clear and frosted, for best coordinating with the presentation. The multiples of film allow users to make changes to the contents if necessary! 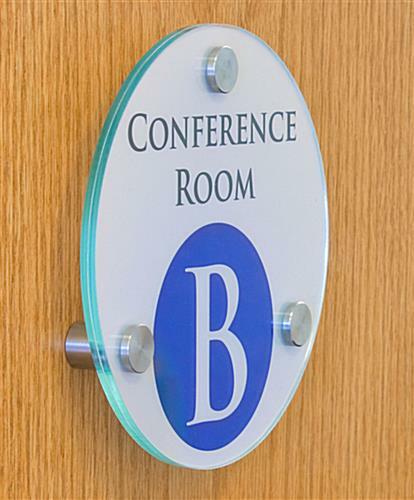 These office signs are very easy to use. 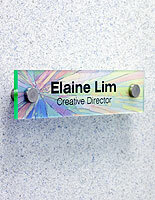 First, users are able to create the name plates from the choice of three template formats. 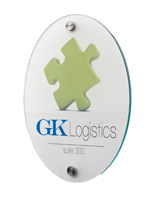 These office signs can present logos, names, images or more when inserted in the different areas. Users have the freedom to print using color or black & white inks! Carefully separate the printed film from the sheet and sandwich it between the two green-edged acrylic plates. 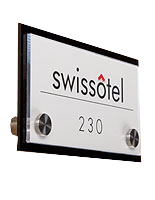 These office signs are complete as soon as it is mounted using the stainless steel standoffs! Customize all sorts of valuable information. 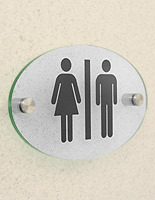 These office signs are certain to get the point across. The units are perfect for many occasions.